I wish real rabbits had mustaches. Like big, bare-knuckle boxer mustaches from the dawn of industry. If I ever meet a genie, this dream of mine will finally come true. Right after I get a really sick motorcycle, the ability to grow mutton chops, and a pet Bengal tiger named Thor. 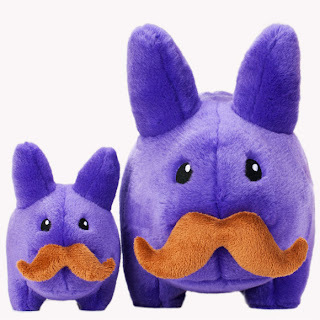 But number four on my list is definitely a mustache for every bunny in the world. Kozik and the folks at Kidrobot would probably be ok with that, since they're doing everything in their power to make it happen. 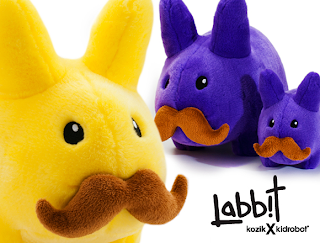 These plushy Labbits can now be yours in both yellow and purple and in two different sizes to fit your needs. If you have a lot of space in your place then you can get a 14 inch one, or if you're a hoarder like me and space is a premium, maybe you wanna go for the 7 inch fun size. 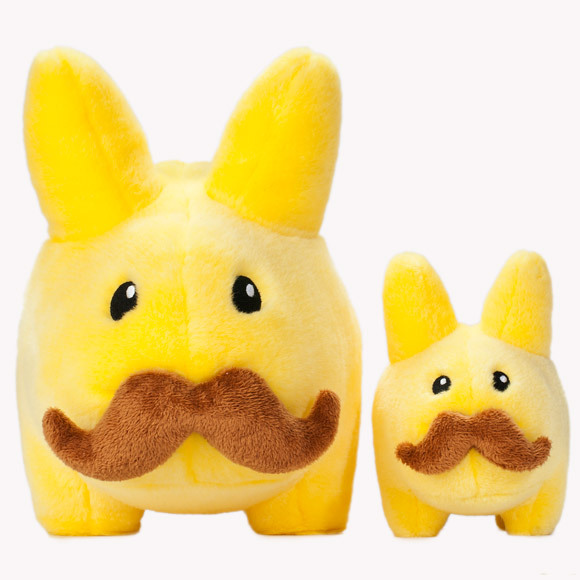 The big un will cost ya $39.95 and the little un is $17.95. Get em July 26th.